This next Monday evening, November 25th, the UC Hopland Research & Extension Center will host yet another public seminar. 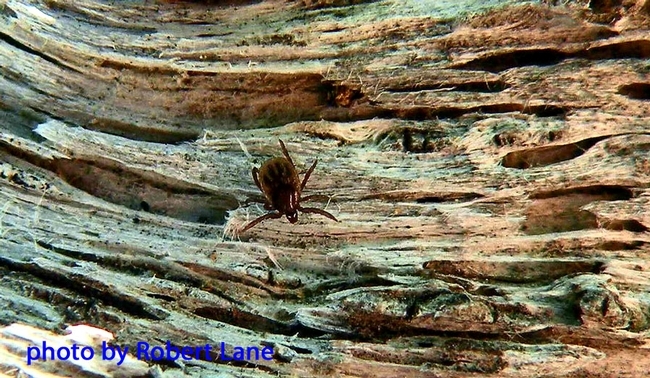 Dr. Robert S. Lane, professor emeritus of Medical Entomology at UC Berkeley, will be the presenter with his "Lyme Disease in California: A tale of Woodlands, Nymphs, and their Significant Others" presentation. Dr. Lane has conducted over thirty years of field research here at HREC and throughout the North Coast on the ecology, epidemiology, and prevention of tick-borne diseases... particularly the spirochete (bacterium) that causes Lyme disease. Lyme disease is the most commonly reported vector-borne infection in the United States and in other temperate regions of the Northern Hemisphere. Dr. Lane's broad objectives of this research are intended to clarify the transmission cycles of the Lyme Disease spirochete and other emerging bacterial disease agents and to determine what behavioral and environmental factors place people at elevated risk for acquiring such infections. We hope to see you at HREC this next MONDAY at 7:00PM for this fascinating yet FREE public seminar.